Zac Kurylyk tests the GM37X crossover helmet from GMax. 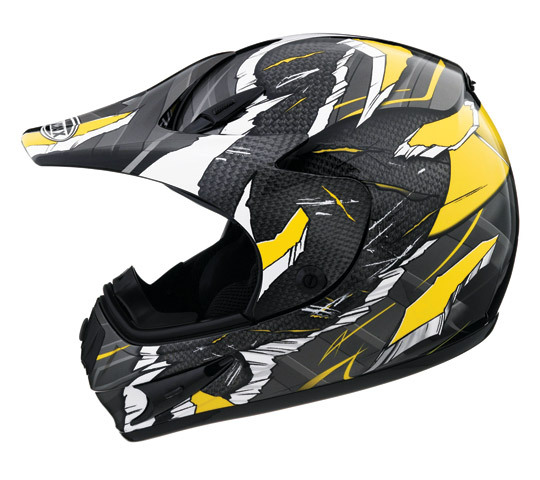 After crashing Editor ‘Arris’s Konker last summer, I was in need of new helmet. 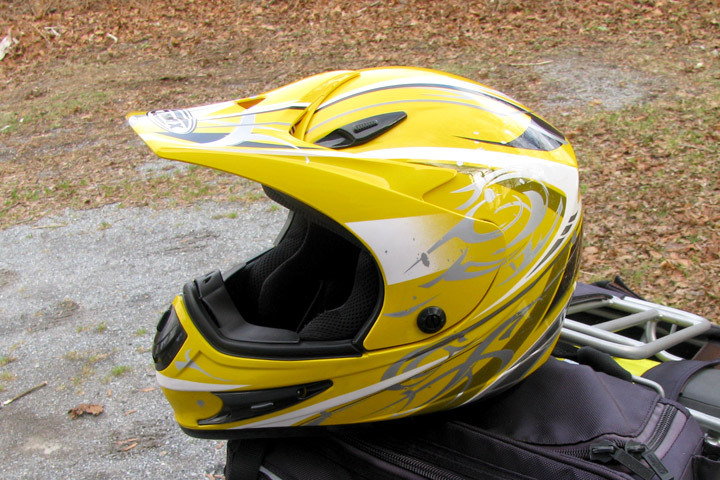 I knew what I wanted – a dual-sport crossover style lid, like the Shoei Hornet, or the Arai XD. Zac with new lid and slightly used Konker. Trouble is, those helmets were well outside my price range, and here in North America, those two helmets are the main players in the crossover helmet scene. There are far more options in Europe, but by the time you pay shipping, handling, and duty fees on those helmets, they could have cost even more. No thanks! 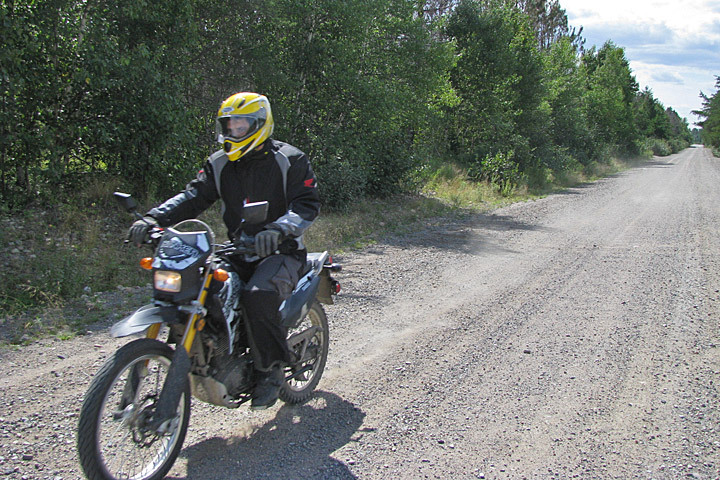 But after doing a bit more digging around, I found another option here in North America that’s both versatile and cheap – key benefits to dual sport riders, especially those tightwad rascals on KLR 650s. Up-and-coming helmet company GMAX (laugh if you like, but they’ve won helmet of the year awards) is selling the GM37X, a helmet that not only can be used as a street or off-road helmet (including ATV), but also has a snowmobile option. So, last July I asked them to ship me one to try out. Unfortunately you have to choose between the peak or the shield. The helmet came with the off-road peak installed when I opened the package (you have to either have this OR the shield, not both), so that’s the first configuration I tested. Right off the bat, I suspected I would like the helmet, because it was a solid, tight fit out of the box. Some riders search for a helmet that perfectly hugs their cranial contours the first time they try it, but I prefer one a bit snug – that way, in a few weeks the padding will break in exactly the way I want it to fit. And that’s the way it worked out with the GM37X. Shield comes in single pane (motorcycle) or dual pane (snowmobile) options. In fact, my biggest problem with it is the noise. With the shield down, the helmet is no worse than any other cheap lid, but if you’re the kind of guy who rides around a lot with his shield flipped all the way up, then you’re going to put up with a racket that sounds like a pack of howling banshees chasing you down. The wind noise changes tone quickly as soon as you turn your head, and that’s even more annoying. If the helmet had better airflow inside, I would seldom be tempted to ride with the visor up anyway. Unfortunately, there aren’t a lot of air holes in the helmet to bring you oxygen or cool you down, even though GMAX says the helmet features their “D.E.V.S.” (Dual Exhaust Venting System). There’s an easy fix, though – if you’re going off-road and want extra ventilation, swap out for the dirt peak and goggles. It’s that simple. Otherwise, either ride with the shield down (like you’re supposed to) or just put up with the noise. That’s what you get for $105 (the GM37X sells around that price point in Canada), which is pretty good for a DOT approved helmet, even if the shell is a thermoplastic alloy. 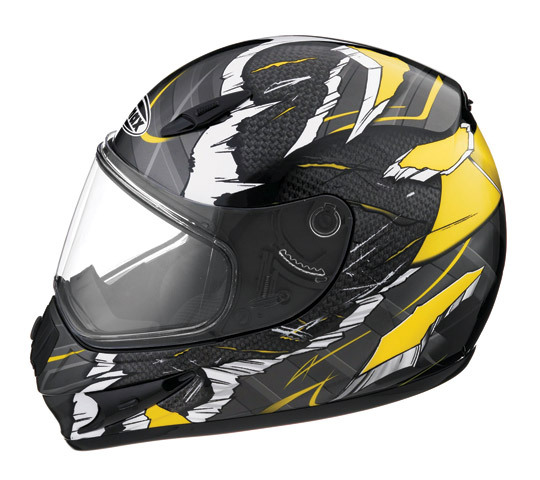 The GM37X also comes with a snap-in chin shield and breath guard for cold weather riding, and padding includes room for a communications system. Cheek padding is removable for adjustment or washing, if you’re into that sort of thing. All things considered, the GM37X seems like a decent helmet so far. It’s not as versatile as a true crossover helmet, but it’s certainly a lot easier for a dual-sport rider to simply pack a spare visor for dirt riding, instead of lugging along an extra helmet. I imagine that in coming months the infamously cheap bargain hunters of the dual-sport community will be taking notice of this respectable-for-the-price lid. That review just about sums up the difference between inexpensive headgear and the pricier counterparts – both provide the necessary safety, but the low buck models sacrifice noise reduction and sophisticated venting. In any event, its a far (better) cry from my original Bell Star.